I simply adore the bright fresh flavor of lemon. It just makes for happy food. I’m not really sure what the right label for this treat is. It’s too sweet to be a bread, too light to be a true pound cake and too bread-like to be a cake. It’s fabulous, whatever it is. 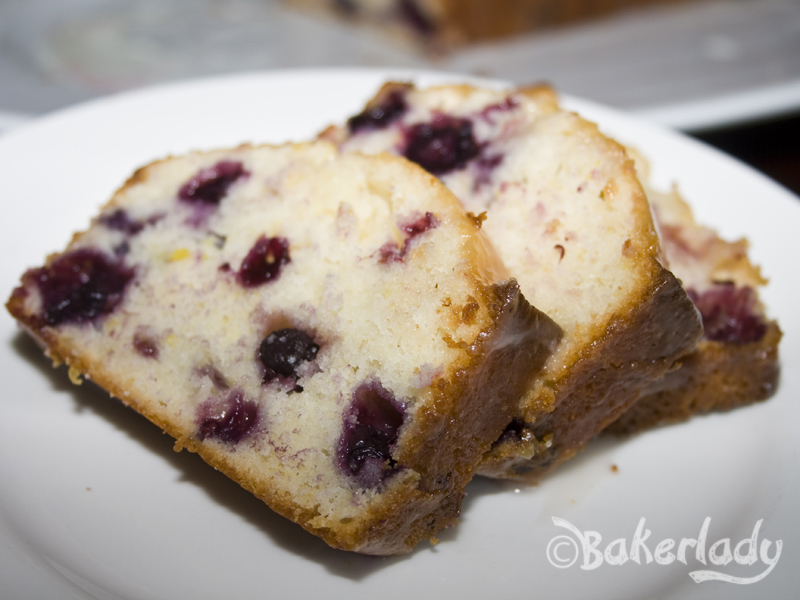 Filled with cheery tart lemon and sweet succulent blueberries, this pseudo-pound cake is a taste explosion. It’s double glazed and is absolutely delicious. I pulled portions from several different recipes to create a version of pound cake that was flavorful without the traditional heaps of butter in it. This version gets its dense richness from non-fat greek yogurt and a little bit of oil. It is perfectly balanced between sweet/tart and rich/light. You will love it. Eat it for breakfast, a snack or for dessert. Or, all three! Yum! In a large bowl, beat the oil, sugar, lemon juice and eggs. Combine the flour, baking powder and salt; stir into egg mixture alternately with greek yogurt, beating well after each addition. 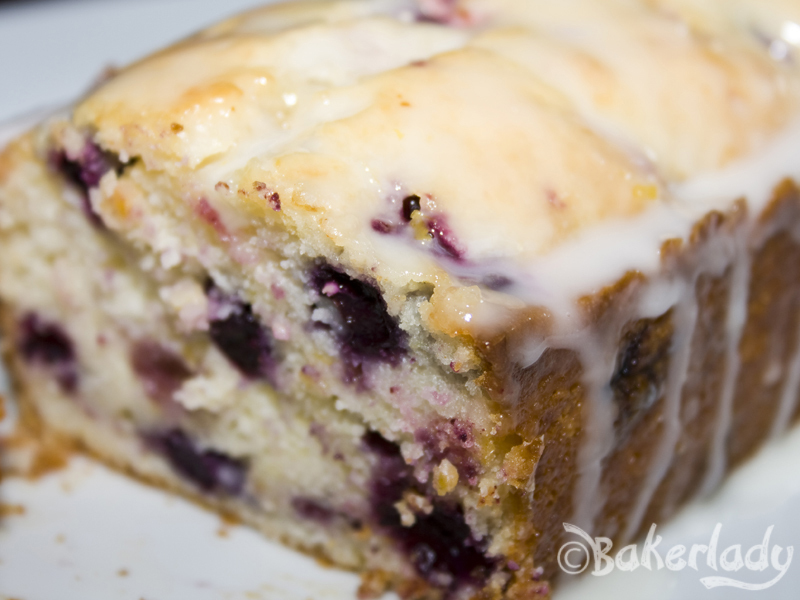 Toss the blueberries with the 1 tablespoon of flour and fold the blueberries and lemon peel into the batter. Transfer to a greased 8-in. x 4-in. loaf pan lined at the bottom with parchment paper. Bake at 350° for 60-70 minutes or until a toothpick inserted near the center comes out clean. Cool for 10 minutes before removing from pan to a wire rack. While bread is cooling (in the pan), combine lemon sugar ingredients in a saucepan and cook until sugar is dissolved. Cook 2 minutes longer. After removing from pan, poke holes in warm bread and brush lemon sugar on tops and sides. Allow to sink in, then brush again. Combine ingredients for lemon glaze; drizzle over warm bread. Cool completely. Brush with glaze again after cool. Yield: 1 loaf (16 slices). 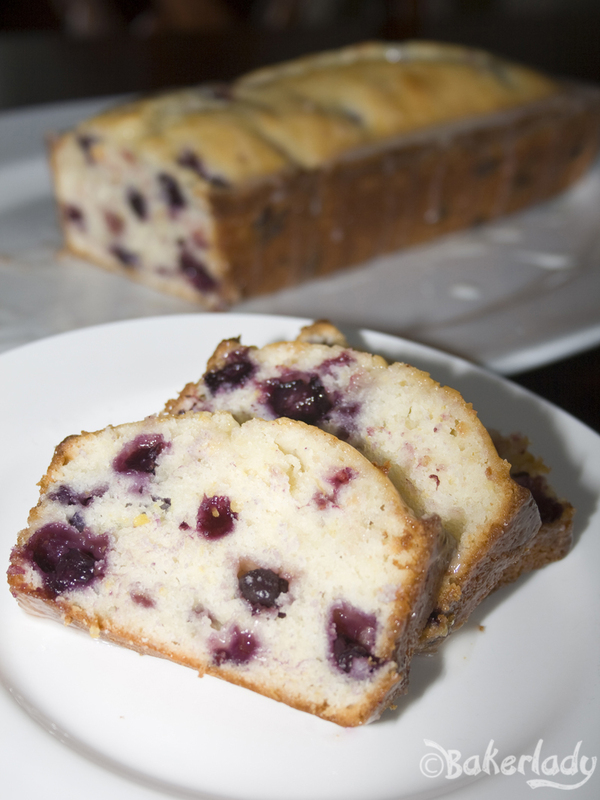 * If using frozen blueberries, use without thawing to avoid discoloring the batter. Sounds lovely! I was wondering what to do with a pack of blueberries and i think i’ve found a solution! What sort of oil did you use?